Lou Williams may not be the listed as one of the best players in the National Basketball Association (NBA) but there is no doubt that he is one of the coolest players in the league. In his thirteenth seasons in the NBA, we have watched his impressive array of moves, seen him record high career points, assists, and make 3-pointers per game. We have also seen him named the NBA 6th, Man of the Year, twice in the year 2015 and 2018. Williams is one of those very few players who got selected from high school into the NBA without having to go through playing in college, as he declared for the NBA Draft after high school, the Philadelphia 76ers selected him as the 45th overall pick in the 2005 NBA draft. He spent 7 full seasons with the 76ers before moving over to Atlanta Hawks, where he spent 2 seasons before he was traded to the Toronto Raptors in 2014 alongside Lucas Nogueira in exchange for John Salmons and the next season’s second round pick. He has also played for the Los Angeles Lakers, the Houston Rockets. Lou currently plays for the Los Angeles Clippers. He has been with the team since 2017. Lou was born in Memphis, Tennessee on the 27th day of October 1986 as Louis Tyrone Williams. He is one of the three children of his parents – Willie Louis Williams and Janice Faulkner. He has a sister named Shaun Haynes and a brother by the name Taurus Stinnett. He attended South Gwinnett High School where he played high school basketball under coach Roger Fleetwood. During his junior season, he led his school team to the 5A Georgia State Championship. He earned Georgia’s Mr. Basketball title and was a 4-time All-State selection. During his senior season, he earned the McDonald’s All-American, a first-team Parade All-American and also won the Naismith Prep Player of the Year award. At the end of his senior season, Rivals.com considered him a 5-star recruit. Asides ending his career as the 2nd all-time leading scorer in the history of high school basketball in Georgia, Lou Williams was also ranked #3 shooting guard and the nation’s #7 player of 2005. After high school, he initially committed to the University of Georgia, but would later change his mind and opted to declare for the NBA Draft instead. William performed below expectations during his workouts and as a result, he found himself at the 2nd round of the draft and was eventually picked 45th overall by the Philadelphia 76ers. He played thirty games in his rookie and ended the season with an average of 1.9 points and .3 assists. He was sent off to play for Fort Worth Flyers in the Development League the next season. After an impressive season at the D-League, Lou was recalled to the 76ers. At the end of the 2007–08 season, Lou Williams became a restricted free agent. He would later sign a 5-year deal to remain with Philadelphia. The contract was worth $25 million. During the 2011/2012 season, he led the team in scoring, averaging 14.9 points per game. At the end of the season, he was named the runner-up for the NBA Sixth Man of the Year Award. The 2011/2012 season marked the end of his seven seasons with the 76ers. In July 2012, he signed a deal with the Atlanta Hawks. After two seasons with the Hawks, he was traded to the Toronto Raptors in 2014 together with Lucas Nogueira in exchange for John Salmons and the next season’s second round pick. While with the Raptors, he recorded a career-high 36 points in a game against the Cleveland Cavaliers. In 2015, he was named the NBA Sixth Man of the Year, becoming the first Toronto Raptors’ player to win the award. That same year, he signed a 3-year deal with Los Angeles Lakers worth $21 million. 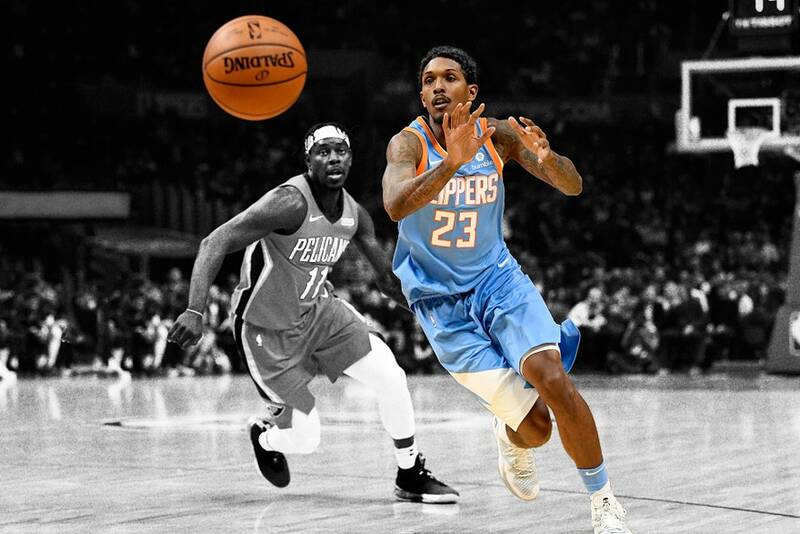 After two seasons with the Lakers, Lou Williams was traded to the Houston Rockets in February 2017 in exchange for Small forward/Shooting guard Corey Brewer and a 2017 1st-round draft pick. In June of the same year, he was acquired by the Los Angeles Clippers alongside other players in exchange for Chris Paul and a 2018 first-round pick. At the end of the season, he was named the NBA Sixth Man of the Year for the 2nd time. The NBA guard is currently not married. In 2014, he was rumored to be romantically involved with two women at the same time. According to a gossip site Baller Alert, the names of the women were given as Rece Mitchell and Ashley Henderson. There were actually photos of the girls online to back up the claims just as Lou equally shared their photos on his social media pages. He later broke up with Ashley. His partner at the moment is Rece Mitchell. He has two adorable daughters – Jada and Zoey Williams. The two-time winner of the NBA Sixth Man of the Year Award, stands at the height of 6’1″ (1.85 m), weighing 79kg (175 lb). There is no doubt that his success on the basketball court can be attributed much to his physical body build and strength.